Some of the forms below are forms that are available in PDF format. You must have Adobe Acrobat Reader installed on your computer to view these forms. Cooperative Coparenting vs. 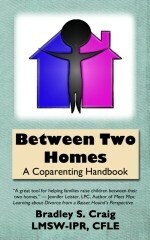 Parallel Coparenting - Comparison of two forms of raising children between two homes to protect children from conflicted parenting. Guidelines for E-mail Communication - Handout for effective written communication. My Long Distance Life- Article from a child who's parents lived far apart. Supporters vs. Detractors - Handout for coparents to provide to other family members, friends, or professionals.